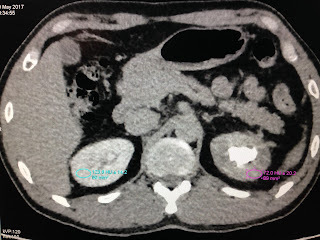 Man 51 yo with acute pain at right flank, type colicky pain. 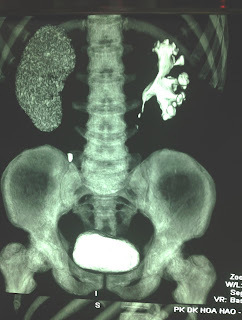 History of being treated renal stone of left kidney by operation and ESWL for 2 years. 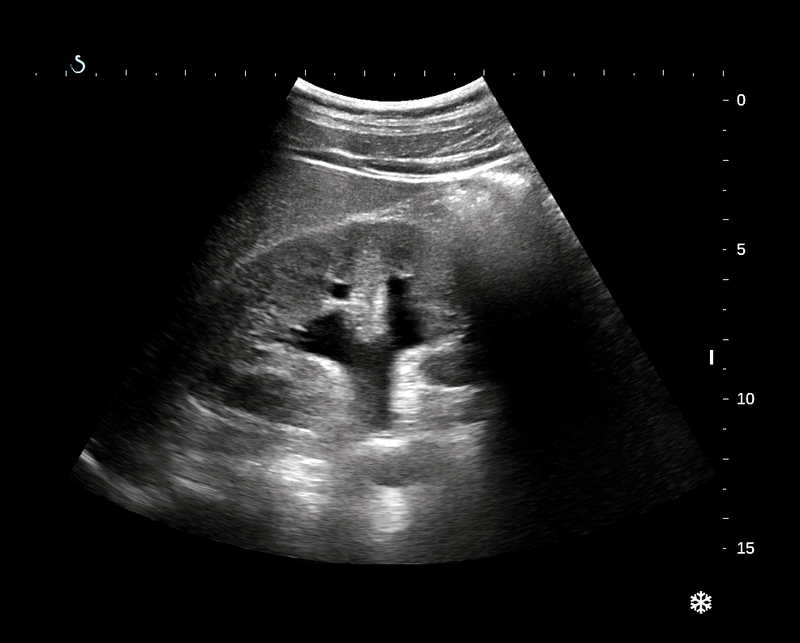 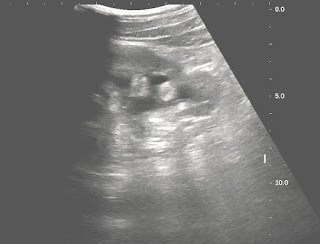 Emergency ultrasound detected right and left kidney hydronephrosis (US 1, US 2). 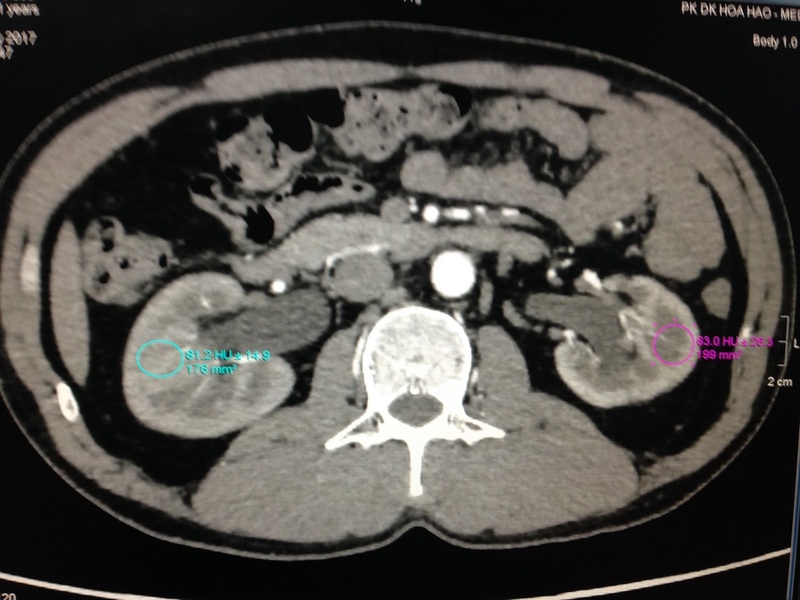 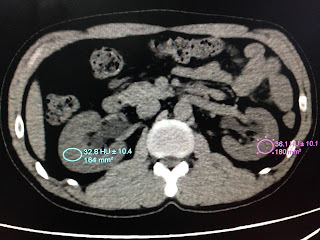 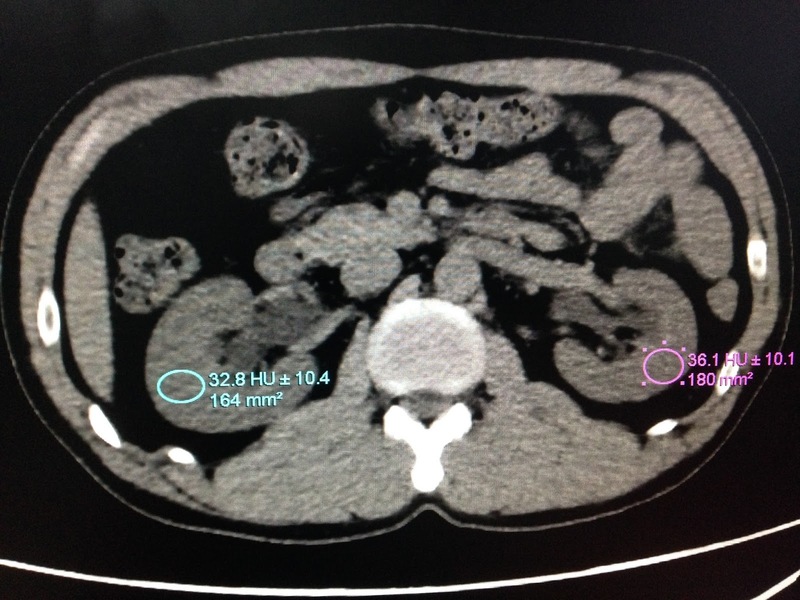 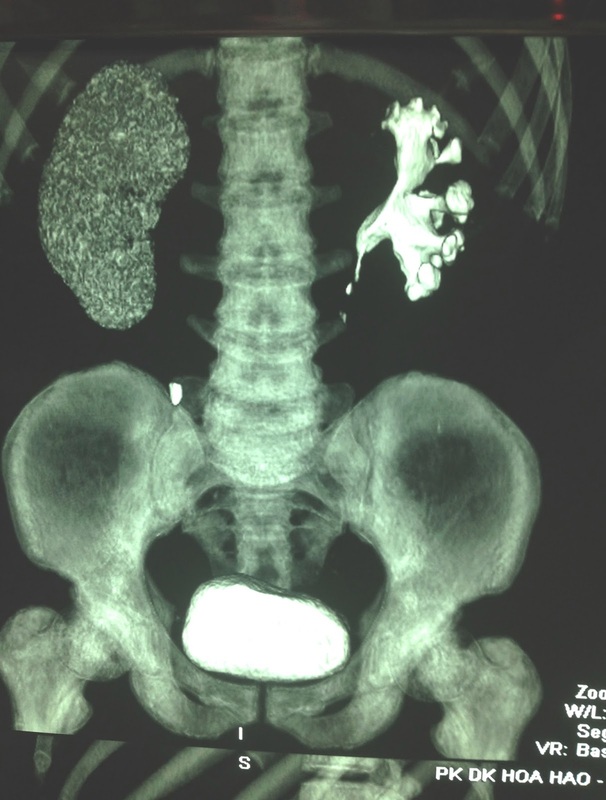 CT scanning with CE: CT 1= kidneys no CE. 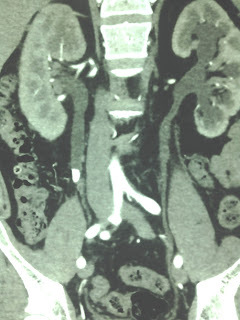 CT 2 with CE, arterial phase. 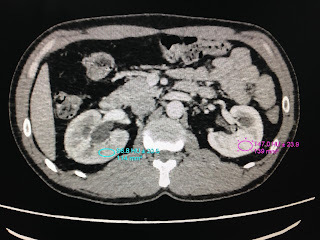 Discussion: Ultrasound scanning in acute renal colic crisis cannot make diagnosis of A K I ( acute kidney insufficiency); CT non CE with HU low and CE phase in delay secretion that suspected AKI. 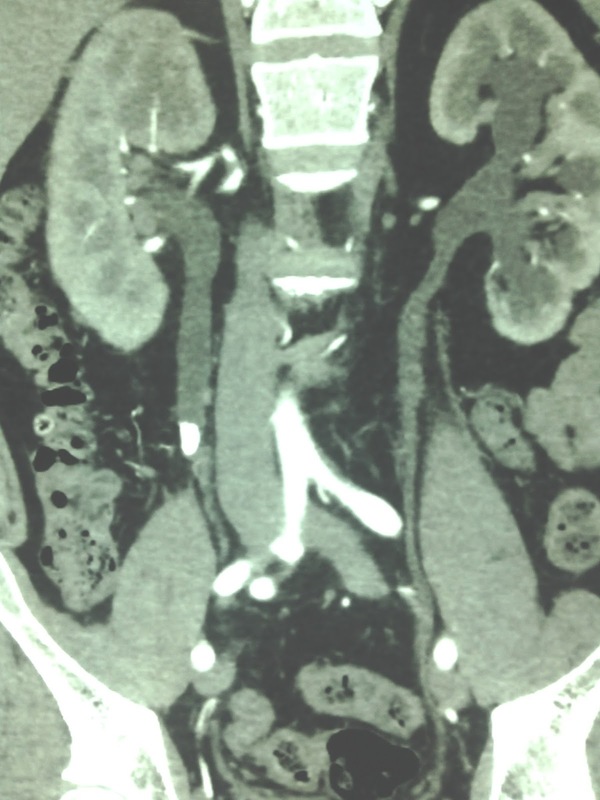 Emergent operation was done for removing of the stuck stone in right ureter for this case.